If you are familiar with online banking and want to expand your finances into a resilient and transparent currency, this book is ideal for you. A basic understanding of online wallets and financial systems will be highly beneficial to unravel the mysteries of Bitcoin. The financial crisis of 2008 raised attention to the need for transparency and accountability in the financial world. As banks and governments were scrambling to stay solvent while seeking a sustainable plan, a powerfully new and resilient technology emerged. Bitcoin, built on a fundamentally new technology called “The Blockchain,” offered the promise of a new financial system where transactions are sent directly between two parties without the need for central control. Bitcoin exists as an open and transparent financial system without banks, governments, or corporate support. Simply put, Bitcoin is “programmable money” that has the potential to change the world on the same scale as the Internet itself. 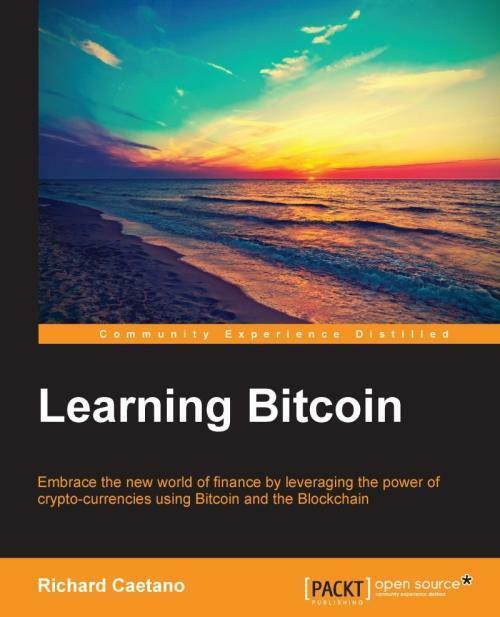 This book arms you with immense knowledge of Bitcoin and helps you implement the technology in your money matters, enabling secure transactions. We first walk through the fundamentals of Bitcoin, illustrate how the technology works, and exemplify how to interact with this powerful and new financial technology. You will learn how to set up your online Bitcoin wallet, indulge in buying and selling of bitcoins, and manage their storage. We then get to grips with the most powerful algorithm of all times: the Blockchain, and learn how crypto-currencies can reduce the risk of fraud for e-commerce merchants and consumers. With a solid base of Blockchain, you will write and execute your own custom transactions. Most importantly, you will be able to protect and secure your Bitcoin with the help of effective solutions provided in the book. Packed with plenty of screenshots, Learning Bitcoin is a simple and painless guide to working with Bitcoin. Richard Caetano is an entrepreneur and software developer living in Paris, France, and was originally raised on a dairy farm in the middle of California. He discovered a strong interest in software development at an early age. Over the years, he has designed and developed systems ranging from agriculture process automation and government accounting to high-tech security, digital music, and mobile video games. In 2011, Richard found the Bitcoin whitepaper and experienced a paradigm shift. After realizing the potential of this new technology, he changed course, and since then has been evangelizing this powerful new technology to the world. He launched an early application called btcReport, which leverages good design to bring news and information to those interested in Bitcoin. Since then, he has been speaking at conferences and meetings to help spread the word about Bitcoin. In 2015, he launched Stratumn, a company focused on helping developers build transparent, easy-to-audit, and secure applications by using the blockchain, the technology that powers the Bitcoin currency. Knjiga godine po izboru listova Independent i New Statesman. 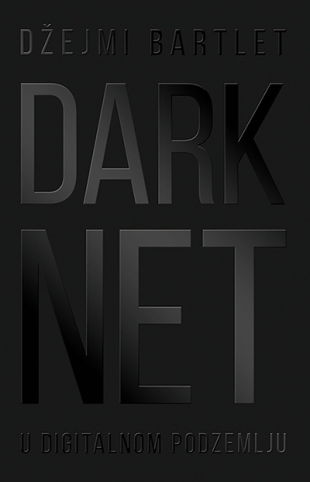 Knjiga Darknet vodi nas duboko u digitalno podzemlje i pruža nam izuzetan uvid u internet kakav ne poznajemo. 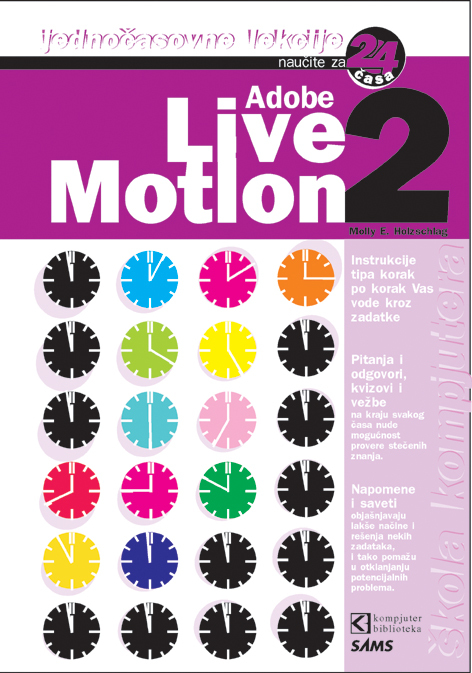 Za samo 24 lekcije, naučićete da koristite LiveMotion 2. Pomoću direktnog pristupa, korak po korak, svaka lekcija se nadograđuje na prethodnu, učeći vas osnove kreiranja web grafika i animacija.